zarinahtakesapaycut: Sarawak BN chances dampened by PwC fraud allegations. Sarawak BN chances dampened by PwC fraud allegations. 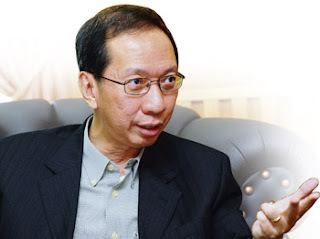 When the people are talking in Kuching, Sibu and Miri, about the allegations raised here, as well as the continuing silence by PwC and the authorities in face of the evidence, we have to ask, what will the silence cost the Sarawak BN, come Elections? Bernama carried a report on the 11th of January, 2011, that " Prime Minister Datuk Seri Najib Tun Razak said impacts from the Economic Transformation Programme (ETP) were increasingly visible. "The confidence of the business sector and investors in the Malaysian economy is rising higher," he said during a media briefing on the Third Economic Transformation Programme Update here Tuesday." 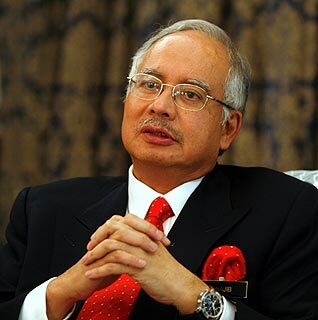 Datuk Seri Najib Tun Razak says the ETP is doing well. ﻿We have to wonder how much has really been achieved under the Economic Transformation Programme, when we have not seen any questions from PEMANDU, the Performance Management and Delivery Unit, to the regulators or PwC itself about a single one of the questions raised here? As well as ask what impact the silence will have on the confidence of the business sector and investors have in the Malaysian economy, when doubts as to the independence of the regulators and the legality of the business conduct of the biggest auditing firm in the country are left uncleared? ﻿﻿What will it take to get PwC to answer or at the very least deny any of the allegations raised here? 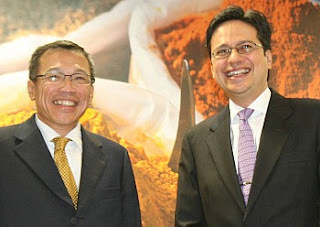 Dato' Johan Raslan is an Auditor of Public Interest Entities, as are PricewaterhouseCoopers Malaysia. "Kuala Lumpur High Court Orders Golden Plus Holdings Bhd to Hire PriceWaterhouseCoopers Advisory Sdn Bhd as Special Auditor"
"Malayan Banking Bhd Appoints Members of PricewaterhouseCoopers Malaysia for Liquidation of Subsidiaries"
"Sime Darby Berhad Re-Appoints PricewaterhouseCoopers Malaysia as Auditors"
The Managing Director and Country Managing Partner for PwC Malaysia, Mr Chin Kwai Fatt is one of the fact finders in the PKFZ Audit Report task force. Lets leave aside what sort of questions are running through the minds of the shareholders, what about the questions the punters in Kuching and Miri are asking each other as to what exactly is going on here, and will the lack of answers translate to votes for the silent party? This blog is ready to move on to the next area of concern, and will leave the questions raised here in the hands of PEMANDU or any other responsible body to handle, provided there is some sort of statement from the very people that should be asking these questions in the first place. Who will have the initiative? All that is asked is that the two individuals in the picture below are made to answer, easy as that. Who will finally make Chin Kwai Fatt (left) and Johan Raslan (right) answer?